Bronto Software and Retail Systems Research have just published survey findings of 179 retailers regarding their holiday 2012 online marketing plans. Retailers, find out what your peers have budgeted and forecasted for 2012. 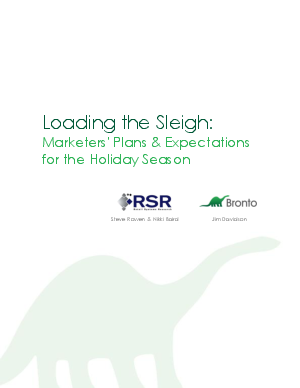 Download "Loading the Sleigh: Marketers' Plans & Expectations for the Holiday Season."